In 1967 I remember watching The Who perform "I Can See for Miles" and "My Generation" on "The Smothers Brothers Comedy Hour." 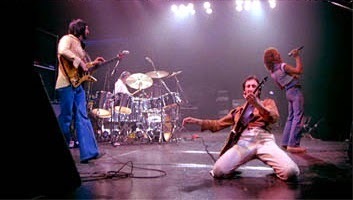 At the end of their second song, Pete Townsend and Keith Moon destroyed their instruments. Keith Moon bribed a stagehand to add a little extra gunpowder to his drum kit. The explosion ignited Townsend's hair and permanently affected his hearing. It made a big impression on my 9-year-old imagination. In 1980, I saw the clip again. It was on the big screen that time at the Parkway Theater in Las Vegas. The Smothers Brothers segment is the opening scene of Jeff Stein's outstanding documentary "The Kids Are Alright." "The Kids Are Alright" chronicles the music of The Who from their humble beginning to their last album before Keith Moon's early death. Moon died two weeks before the film's release. 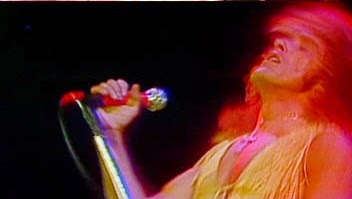 Stein went on a seven-year search and compiled footage from various TV performances, arena shows and music festivals including Woodstock. This archived footage is intercut with new interviews with the band and a live performance at Shepperton Studio before a crowd of 500. The result is one of the most high powered rockumentaries of all time. While it might not have the grace of Scorsese's "The Last Waltz," "The Kids Are Alright" more than makes up for it with pure audio adrenaline. Younger audiences should be amazed to discover that The Who already did everything the Seattle grunge bands did 25 years before Kurt Cobain ever picked up a guitar. 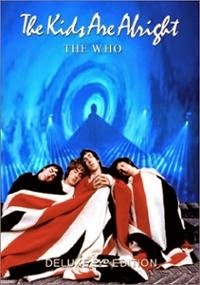 From Pete Townsend's flailing guitar licks to Keith Moon's brilliantly illogical drumming technique to pretty boy Roger Daltry's harsh banshee vocals grounded by John Entwisile's solid bass foundation, The Who was the greatest Rock and Roll band to emerge from the 60s. The Beatles may have been great writers and performers, but they were quitters. The Stones could rock, but they were prancing fops by comparison. 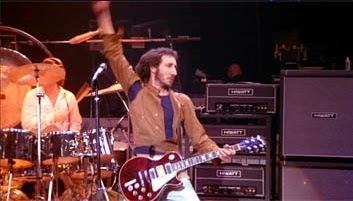 The Who hit the road and played until Keith died. They regrouped, hit the road again and played until John died. 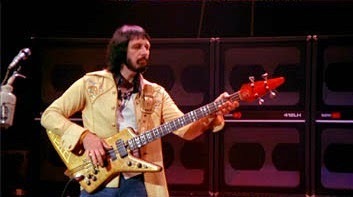 Time will tell if Pete and Roger will regroup to rock once again. I wouldn't put it past them. This restored DVD reintegrates 10-minutes of footage cut from the European release. All subsequent VHS and Laser Disc versions of the movie were based on the European release. This DVD is the restored, remastered director's cut originally released in US theaters. Buy this DVD. Play this DVD loud. Long Live Rock! I'll let you in on a secret. I'm a closet air guitar junkie. Have been since Grand Funk's Live Album came out in 1970. I try not to do it near a mirror anymore as I am an old fat white guy now. Crank up this DVD and let loose with the windmill guitar strokes. Great picture and sound. Wonderful extras. There are a number of visual sources in this film. There is 35mm, 16mm and 8mm film plus videotape from Europe and the US. You can tell which is video and which is film. Even still, Pioneer did a great job restoring the picture. Some of the video is grainy, but that is due to the source material, not the transfer. No pixilation, artifacts or delineation problems. All three tracks rock. I had the walls shaking. Excellent balance between the ranges. Great stereo effects. Rich bass, crystal clear treble. Rock on my brothers and sisters. None found. The name of the band appears on the main menu. It lights up when you move the remote control to the name. When I pushed the enter button the main menu reloaded. Amazon.com lists a number of extras that I couldn't find and which weren't listed on the DVD box. I don't know if there is something under the band's name and I just have a defective disk or if it is just a bizarre design flaw. Jeff Stein's commentary track is great. Lots of cool info concerning the hunt for archived footage. Excellent stories about working with The Who to get the film made. 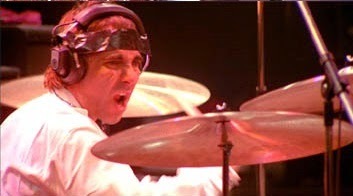 Nice memories of the late Keith Moon. There is an outstanding 32-page booklet. One section relates the history of the making of the movie. Another section is the director's memories of getting the job done. The second half of the booklet breaks down the film by chapter. It lets you know when and where each performance took place. The DVD also includes a feature that gives you read-along liner notes during the film. I've waited for years for someone to release this movie on DVD. Thanks to Pioneer, we can have a rockin' good holiday. Stick this one in your headbanger's stocking and the kid will be alright.